A tasty accompaniment to all your favourite meals. 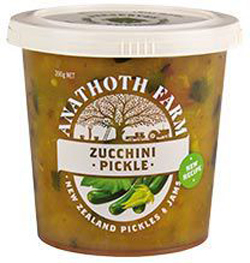 Made with only the finest zucchinis and carefully selected spices. Vegetables 60% (Zucchini 38%, Onion, Red Pepper), Sugar, Vinegar, Cornflour, Spices, Salt, Lemon Juice.